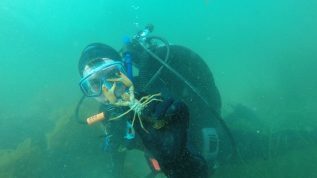 The Lobster Institute is a center of scholarship and outreach in the College of Natural Sciences, Forestry, and Agriculture at the University of Maine. 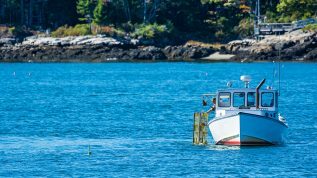 Institute staff engage with the lobster industry, scientists, fishery managers, health regulators, and legislators to address industry priorities through collaborative research, educational workshops and conferences. Lobster War is an award-winning feature-length documentary about a conflict between the United States and Canada over waters that both countries have claimed since the end of the Revolutionary War. The disputed 277 square miles of sea known as the Gray Zone were traditionally fished by US lobstermen. 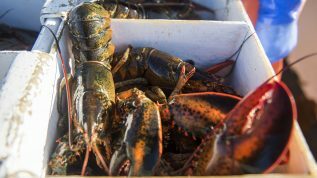 But as the Gulf of Maine has warmed faster than nearly any other body of water on the planet, the area’s previously modest lobster population has surged. As a result, Canadians have begun to assert their sovereignty, warring with the Americans to claim the bounty. 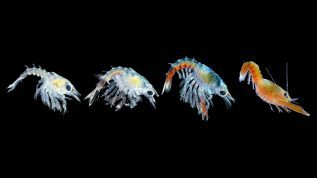 Richard Wahle, Director of the Lobster Institute, is one of the researchers featured in the film.